The resumption of diplomatic ties between China and Sao Tome and Principe reflects that the one-China principle has become an irreversible trend of times, the People’s Daily said in a commentary published on Tuesday, one day after the two countries declared to resume diplomatic relations at the ambassadorial level. China and Sao Tome and Principe signed a Joint Communiqué on Resumption of Diplomatic Relations on Monday after the latter declared to cut ties with Taiwan six days ago. The two governments have decided to resume diplomatic relations at the ambassadorial level as of the date of the signing of this Joint Communiqué. Sao Tome and Principe acknowledged the one-China principle in the Joint Communiqué, admitting that the government of the People’s Republic of China is the only legitimate government representing China, and Taiwan is an integrated part of the Chinese territory. China’s Foreign Ministry welcomed Sao Tome and Principe’s return to the correct track of one-China principle immediately after it cut ties with Taiwan. On December 26, the two countries solemnly declared in respective capitals to resume diplomatic relations at the ambassadorial level. The resumption of diplomatic ties between the two countries, which is an irreversible trend of times, not only reflects the acceptance of the one-China principle, but also serves the fundamental and long-term interest of the two countries and their people. It is well known that Resolution 2758 passed by the 26th session of United Nations General Assembly in October 1971 has recognized the People’s Republic of China as “the only legitimate representative of China to the UN.” Since then, the one-China principle reflected in the resolution has become an internationally recognized consensus and an accepted norm of international relations. Based on the principle, Sao Tome and Principe chose to cut the so-called diplomatic ties with Taiwan and resume ties with the People’s Republic of China, which has maintained international justice and the norms of international relations. Concerning the core interest of China and national sentiment of Chinese people, one-China principle is the premise and political basis for any country to keep a friendly partnership with China. China will never compromise on this issue. Any people or forces who try to challenge or barter it away will be resolutely opposed by China and by international community as well. China and Africa have always been a community of shared interest and destiny. The Johannesburg Summit of the Forum on China-Africa Cooperation held in 2015 has ushered them into a new era of win-win cooperation and common development. The 10 major China-Africa cooperation plans for the coming three years announced by Chinese President Xi Jinping at the summit has been well accepted by African countries, bringing new hope of cooperation to the continent. Now, China has become Africa’s largest trading partner and source of investment. Many African countries have expressed their willingness to realize economic independence and sustainable development through cooperation with China. China has become a reliable partner of Africa in pursuit of sustainable development. It is a right choice for Sao Tome and Principe to end relations with Taiwan. In addition, the excuses given by Taiwan further proved its unconsciousness of current situation. What’s more, given the rich natural and human resources, Africa’s priority is to develop. It is expected that international community could offer assistance to the economic and sustainable development of the continent. In other words, what Africa needs most is self-restoration ability rather than pure assistance. The world has witnessed and will see more profound and complex changes. China’s surging growth of comprehensive national power and influence has substantially altered the balance in cross-Straits relations. The mainland is now superior to Taiwan in terms of both strength and influence. 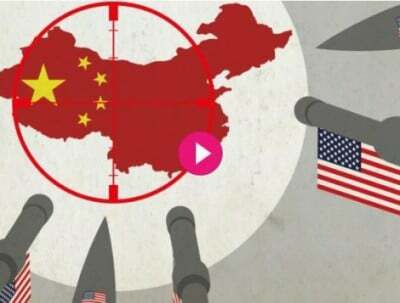 To acknowledge the 1992 Consensus and admit one-China principle is the prerequisite of and basis for the peaceful development of cross-straits relations. Taiwan authority should be aware of the big picture and stop its self-deception.